The SeeSnake Mini video inspection system offers unmatched reliability and performance in a ruggedized package. The Mini is now also available with a durable self-leveling camera head. 1 1⁄2" to 8" (40 to 200 mm) Lines up to 200' (61 m). Ideal for where portability and maneuverability are crucial including multi-story buildings, rooftops, confined areas, etc. Self-Leveling Camera Head - delivers crisp, clear, always upright in-pipe images. Built-In 512 Hz Sonde - locate a point of interest during a pipe inspection. Metal Frame and Rugged Drum - stands up to the rigors of a variety of demanding jobsites. 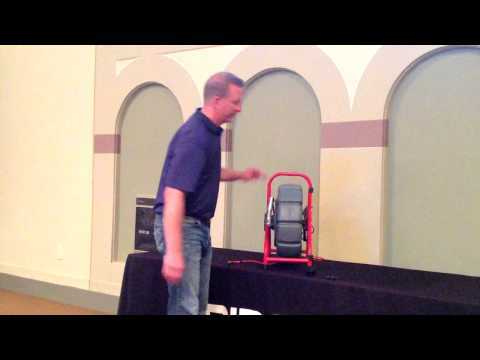 Push Cable - pushes farther and tackles a wide range of lateral and mainline applications. SeeSnake® Mini Video Inspection System is rated 4.5 out of 5 by 8. 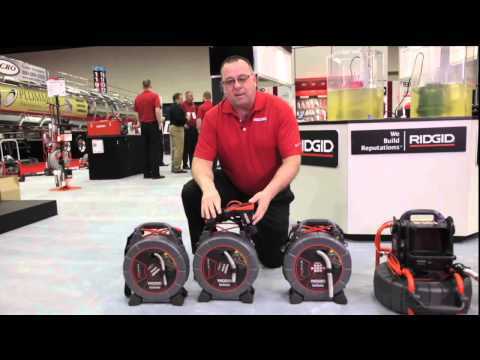 Rated 5 out of 5 by Jigger from Great product If you are looking for a great product that is very simple to use the Ridgid Seesnake is what you are looking for. If you pair it with the locator you can locate the camera find the depth and tell direction of the sewer with awesome accuracy. Rated 4 out of 5 by Tomski from Works fine Works fine but if it was 50 feet longer would be better. Rated 5 out of 5 by kenta from Excellent for inspection of smaller pipes We have used the Micro Reel with our CS10 monitor and recorder for over a year now. It provides excellent lighting and flexibility for inspection of smaller pipes. Rated 3 out of 5 by Timtrewyn from Too tough on 1-1/2 inch 90 degree bends This is a good product, easy to use, excellent resolution. But I had no success getting it through 1 1/2" plumbing conduit bends. Two inch might work fine, but I think folks working with 1 1/2" pipe need to go with a smaller camera head like the Micro. Rated 5 out of 5 by WillRogersPlumbing from Amazing Sewer Camera I've gone through a few sewer cameras from other manufacturing trying to save money. None performed well or lasted. I finally decided I had enough and bought a Ridgid SeeSnake Mini with the CS10 monitor. Man I wish I had done this from the start! This camera is amazing! If you're a Plumber and are looking for a Great Camera, take it from a fellow Plumber do does sewers for a living and get your self a Ridgid SeeSnake! Can the SeeSnake Mini change camera heads in the feild between the regular head and the self leveling head? Does this come with a counter? If not, can one be installed?